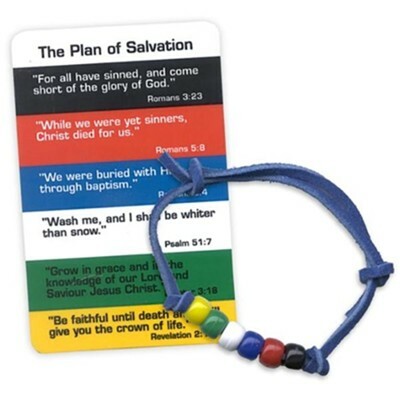 Share the gospel story with our leather and bead bracelet, featuring six beads in assorted colors, each representing a part of the story. 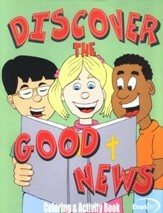 Plan of Salvation card is included with Scripture references, easy to carry in wallet or purse. 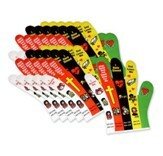 Adjustable leather strap comes in assorted colors; we regret that we cannot choose specific colors. I'm the author/artist and I want to review Plan of Salvation Bracelet.